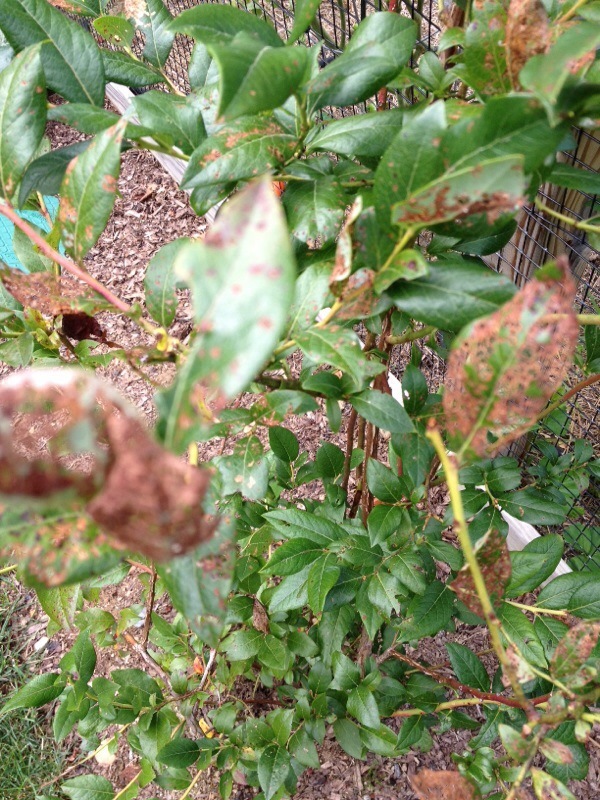 Leaf spot on a blueberry bush is an indication that something is wrong because these plants are pretty problem free normally. Here are some possible causes and what action you could take. You can think about which of these might apply to your plants. 1. Fungal leaf spot. Fungi usually cause leaf spot when a plant is hit with water frequently, either from irrigation, sprinklers, frequent rainfall, or consistent hand watering. When watering is under your control water deeply once a week but no more frequently and whenever possible don't hit the leaves with water. Soaker hoses are a good way to water - turn them on for a couple of hours once a week. 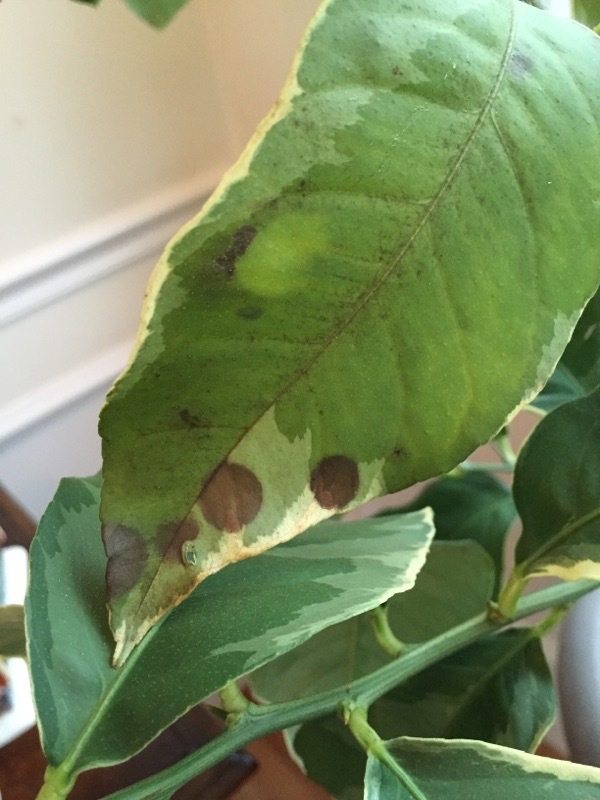 Fungal problems are the most common cause of leaf spots on all plants. To protect the other, non-damaged growth you could spray with an organic fungicide such as sulfur or Serenade, but the most important thing is to alter watering practices. 2. The plant has been hit with something that damaged the leaf tissues when it fell. This could be a household cleaner, liquid fertilizer applied to the foliage, hot water from a sun-heated hose, or other garden chemical such as drift from an herbicide. The only thing you need to do is to water the plant well once a week and don't repeat whatever might have hit the foliage in the past. 3. Worst case? You don't know and will never know. Even experienced gardeners have this happen occasionally. Sometimes we see symptoms and we can't figure out what has happened. 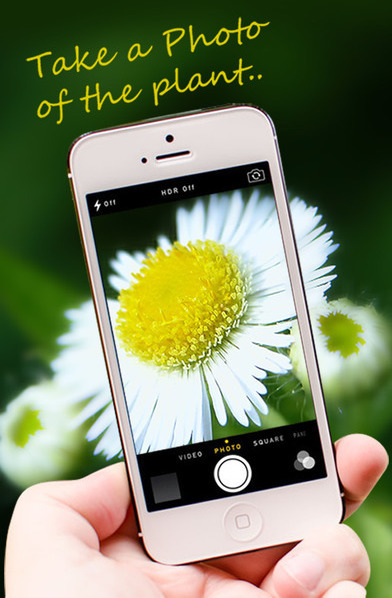 In such times we are well served to monitor the plants and not respond with anything other than our attention. In order to tell if the damage is still going on, mark some undamaged branches with a wire "twist-em" or colored yarn, and see if those marked stems and leaves remain unmarked. Water deeply once a week, prune off any dead wood, and otherwise don't apply any other products to your plant. Chances are it will be fine and may not show symptoms next year. From the photo it appears that there may be a nutrient deficiency showing in the older leaves. If the plant is growing "in-ground" deficiencies are usually not due to lack of nutrients in the soil, but usually caused by over or under-watering for the plants needs. Watering can sometimes cause damage or yellowing to the foliage. Over-watering can cause the plant to produce vegetative growth rather than flowers, and underwatering is stressful for the plant and it may respond by not producing flowers. In water stressed situations, plant roots either begin to rot or dry out and therefore can't function sufficiently to absorb nutrients along with water. We recommend watering more deeply and less frequently rather than providing smaller amounts more frequently. If the water does not soak into the soil quickly and begins to runoff before you can provide a sufficient amount, you can apply water until it just begins to runoff, let that water soak in, apply more again until just before runoff, let that soak in, and repeat this several times during one irrigation (in the same day). We recommend keeping the soil evenly moist, and avoiding fluctuations between dry and flooded soils to keep the salts diluted in the moist soil. The addition of compost and fish fertilizer may be sufficient, but depending on the micro-nutrients in these products you may need to add an additional fertilizer. 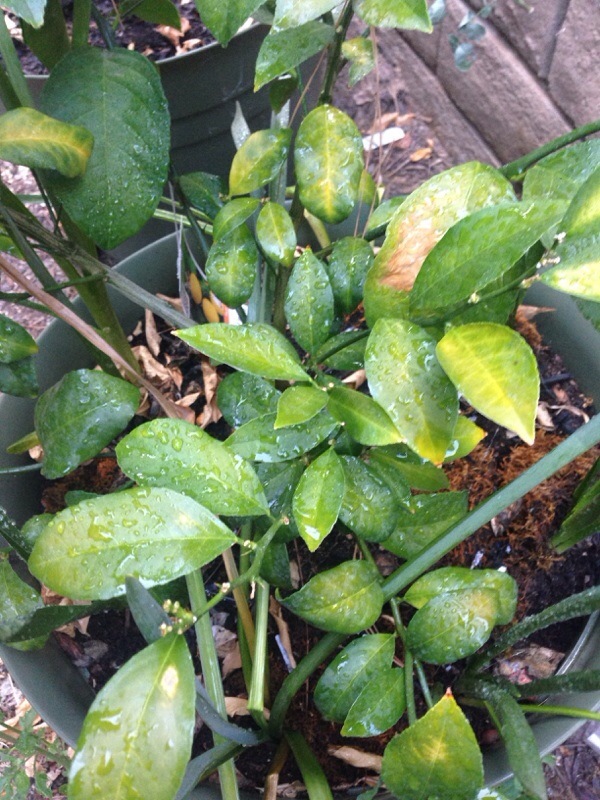 It is recommended to use a well balanced fertilizer for Citrus. An example of a well balanced fertilizer is something that includes both macro and micro nutrients. Macro for Citrus is usually 14 (Nitrogen)-10 (Phosphorus)-14 (Potassium), or similar as long as there is a number for each N-P-K. Micro-nutrients are the trace elements that are needed for healthy growth and sometimes are lacking in fertilizers. The product will note whether or not micro-nutrients are included or not. Here is a link to some of the more common citrus deficencies and problems: http://www.ipm.ucdavis.edu/PMG/C107/m107bpleaftwigdis.html Your Citrus may be deficient in the micro-nutrients: Zinc or Manganese. A well balanced fertilizer will include all of these and prevent the foliage from getting worse and appearing on more growth. The other possibility is sunburn. Citrus are very sensitive to sunburn, especially if moved from one spot to another or any changes in light intensity. Ideally Citrus are kept to a full and globular shape to help prevent sun damage on the stems and trunk.